It’s the third Pacman themed coaster set that we’ve found out. 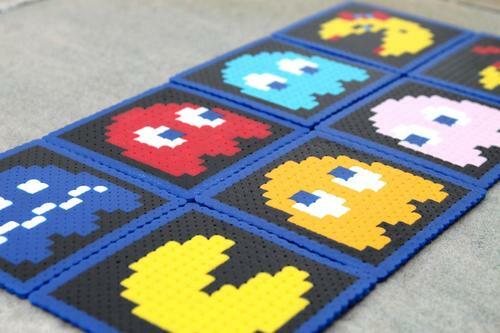 But if you prefer those handmade products made from perler beads, the 4-pack Pacman coaster set may be more suitable for you. This Pacman coasters series contains 8 coasters in total based on the iconic characters in the retro arcade game Pacman, including Mrs. Pacman, Pacman, Pacman Jr and five ghost with different colors. As we can see from that images, each coaster features vibrant colors and pixel styled pattern originated from the arcade game. The Pacman themed coaster is made from perler beads, and measures 3.5 x 3.5 inches, apparently can fit all kinds of mugs, of course, a Pacman themed mug will be perfect. Apart from that, these coasters can be turned into fridge magnets, wall art or keychains if you want. A 4-pack Pacman themed coaster set is priced at $14 USD, while all 8 Pacman coasters will set you back $26 USD. If you’re interested, jump to Etsy for full details. 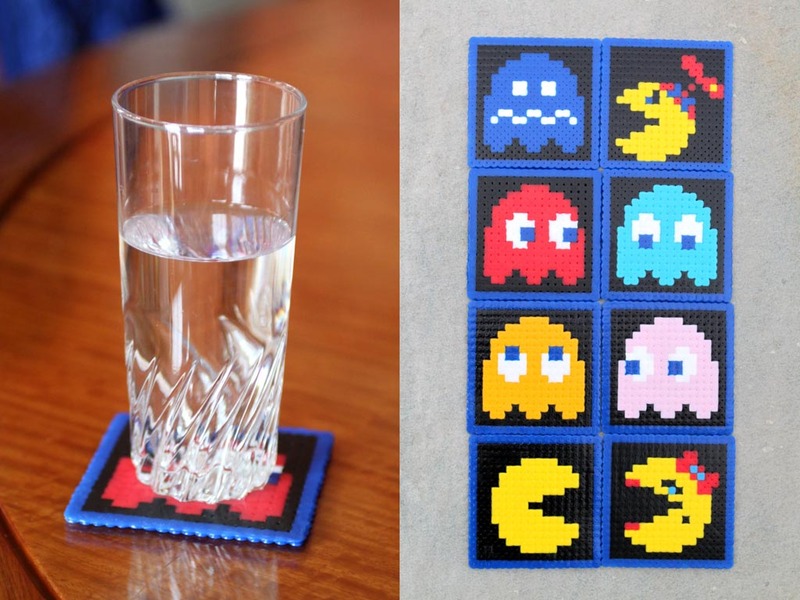 Additionally, if you need more options, you might like to check the another set of Pacman coasters and more via “Pacman” tag.